Banners and Badges and Ribbons, oh my! Use these great elements to add that professional touch to your design. 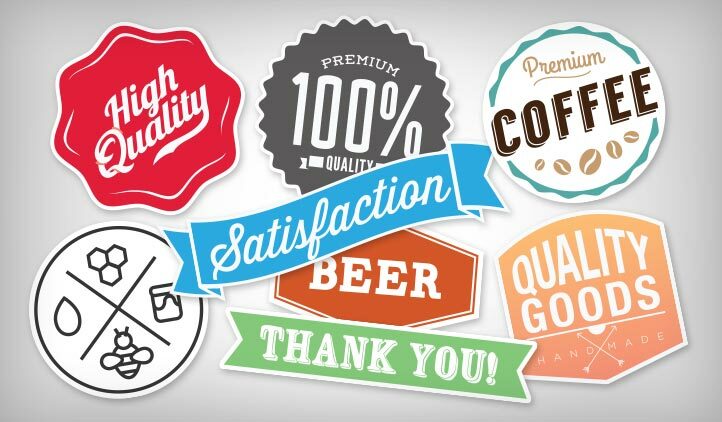 Perfect for creating custom product labels, packaging, gift tags and more. Choose from a variety of shapes and styles.